As you start to think about your trip to Africa, Safari Travel Insurance should be part of your planning process. There is a significant variation in the levels of coverage available within a safari travel insurance plan, so it pays to take the time to consider the levels of protection necessary. First and foremost, congratulations on taking the opportunity to explore Africa. It is a beautiful continent. It is also truly vast in scale – USA, Europe, India and China could all be accommodated within its borders. At AardvarkCompare we have staff who have been lucky enough to live and travel through Southern, Eastern and Northern Africa. Western Africa is still on our list of territories to explore. 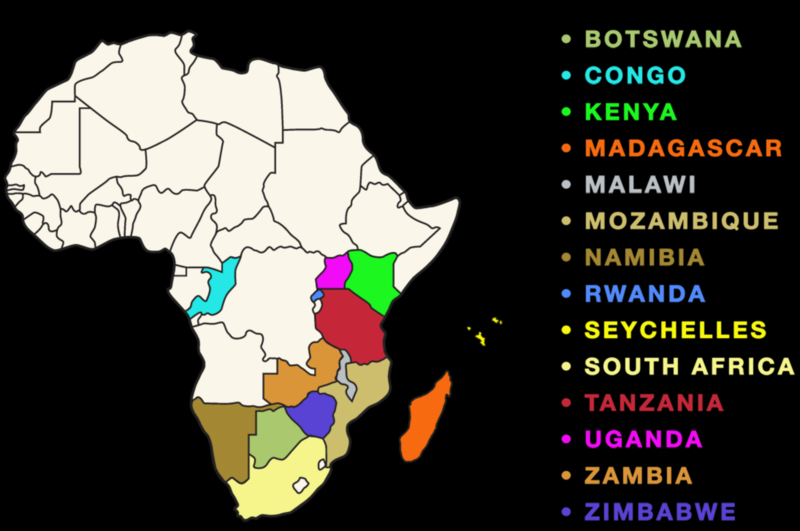 As can be seen in this image below, the vast majority of Safari will be found in South Eastern Africa. 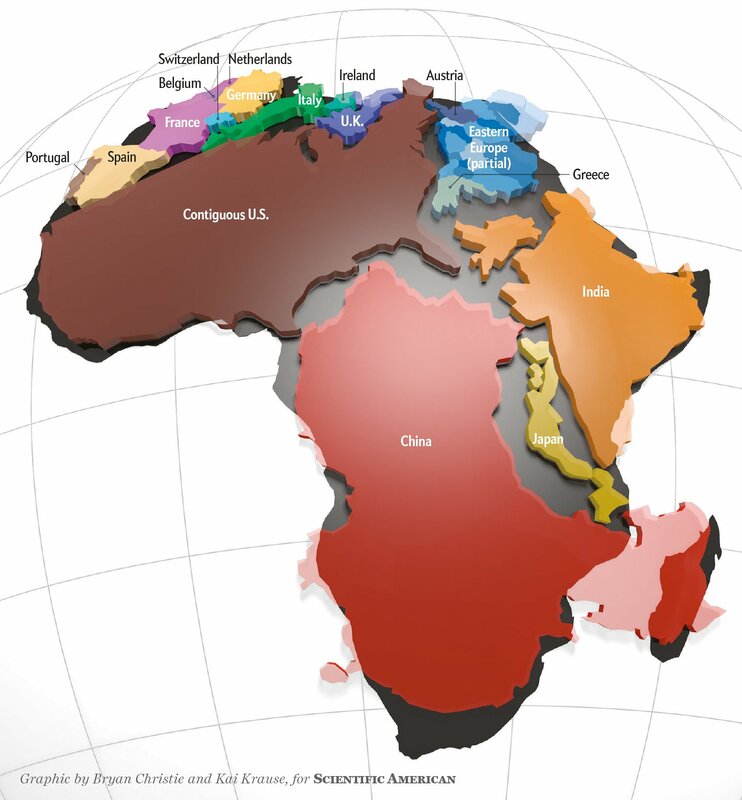 But, do remember from our earlier image how vast the distances are as you contemplate moving from country to country within Africa. Everything is bigger in Africa – the scale can be a little overwhelming, even to those of us who travel internationally frequently. So, consider how much time you wish to spend in transit between countries and Safari parks, versus having a deeply immersive experience in one or two. A specialist safari travel agent will be able to guide you. As you make your safari booking, safari travel insurance will inevitably be offered by the travel agent. If you have not already, please take time to review the insurance coverage that is being offered, and compare travel insurance that is available in the wider travel insurance marketplace. 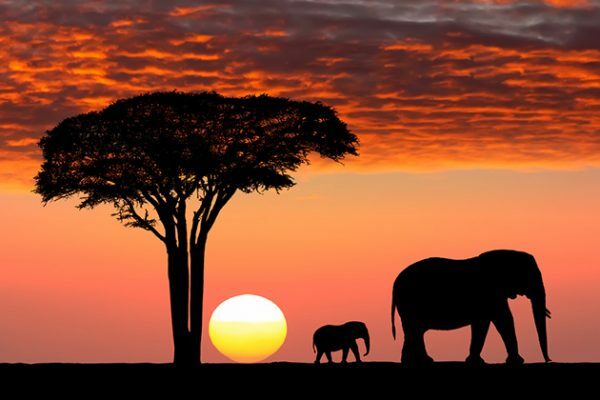 Every major travel insurer will insure your safari – it does not need to be a specialist policy. 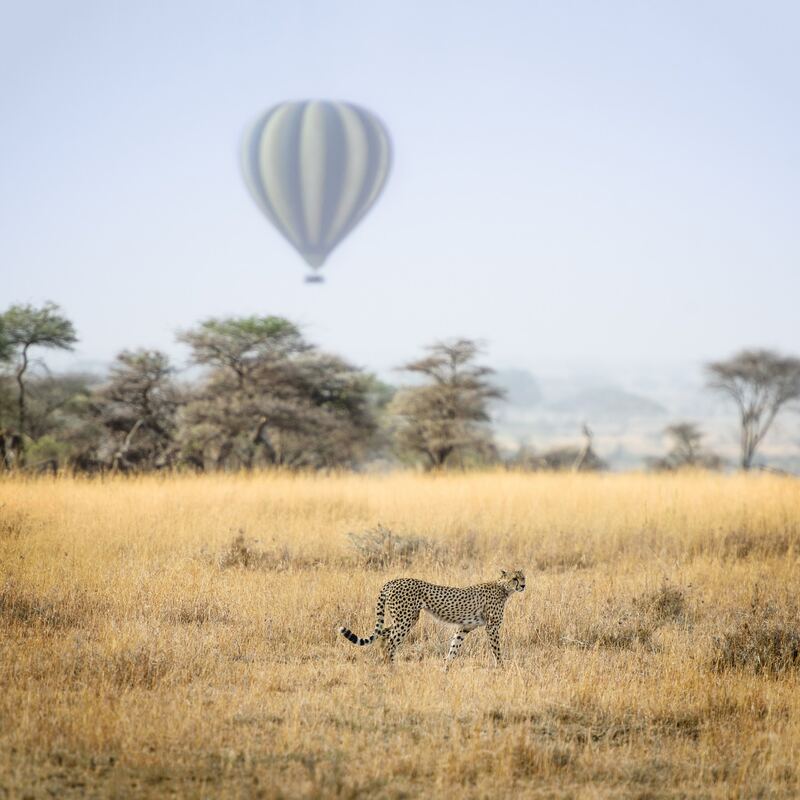 As exciting as your safari will inevitably be, Africa is just another continent as far as a travel insurer is concerned. Safari Travel Insurance that is offered by your travel agent is often limited in coverage, and excessive in cost. In order to get good value for money, and peace of mind, please take the time to investigate a little further. 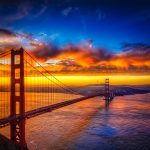 Moreover, many policies that are offered by travel agencies, even specialist safari travel agencies, have totally inadequate coverage given your trip location. 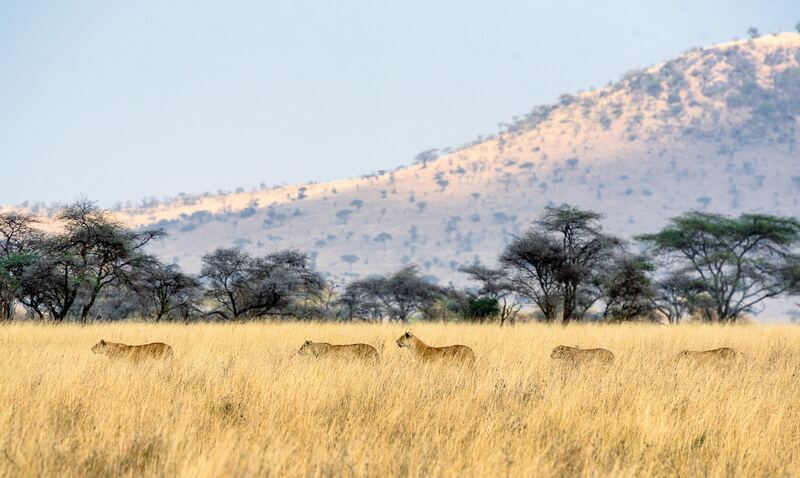 A safari is something that is often booked a long time ahead of the planned departure date. We see some safaris booked 2 years ahead of time – we don’t know how travelers have the patience to book that far ahead! Irrespective, it is important to ensure that there is strong travel cancellation protection embedded into any safari travel insurance policy. Regrettably, people do get sick or injured from time to time, and this can impact whether it is safe or wise to take the trip. Safari Travel Insurance should always include cancellation protection. In the event that one of the insured travelers is medically unable to travel, then all travelers on the policy will be able to cancel their safari and receive a full refund of their covered costs. The same trip cancellation protection exists in the event that a family member becomes critically ill or passes away. In such an eventuality it is perfectly understandable that a trip would need to be cancelled. Again, a full refund will be provided if you buy safari travel insurance coverage. Sometimes, misery strikes whilst on a trip itself. If a family member were to fall critically ill or pass away whilst you were on your safari, you may well wish to curtail the trip and head directly home. Trip Interruption coverage, which is part of every safari travel insurance policy, will compensate for the unused portion of the trip, and the costs of flying you home. No one wishes to think of such things, but peace of mind comes from knowing that coverage is in place should such a need arise. We don’t expect to get sick whilst overseas, but sometimes misfortune strikes. Travelers get involved in accidents or an injure themselves across the world every day. Whilst the majority of accidents are minor, those that involve traffic accidents can be severe, and result in vast medical and evacuation expense. It is critical to note that most Americans have no overseas health coverage whatsoever. Certainly, Medicare offers no protection to US travelers, and even those Medigap plans with overseas coverage are limited in their nature. 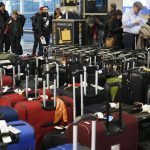 CDC and US State Department are consistent in their advice that US travelers should take comprehensive travel medical insurance whilst overseas. The financial cost of any medical treatment is yours to bear, as is the cost of a medical evacuation. 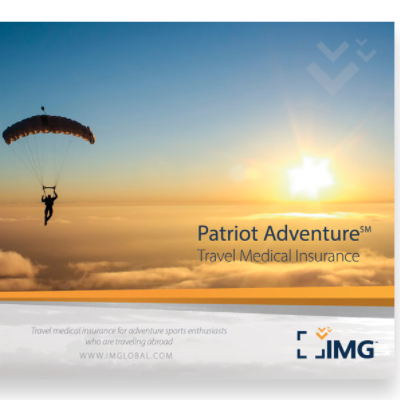 Over the years we have consistently recommended that an international traveler take no less than $100k of Emergency Travel Medical Insurance in any policy they buy. This is certainly the case for any Safari Travel Insurance coverage. It is essential that there is sufficient financial protection to cover a serious illness or accident. We feel that $100k is the minimum level of coverage that we would be comfortable with, although we have a number of policies that will provide with higher levels of medical insurance coverage. It is probable that you will be a long distance from high quality healthcare whilst on your safari. Whilst minor incidents will be able to be treated locally, if more serious, a medical evacuation may be necessary. It is possible that you will need to be moved in stages – first to a local hospital for immediate treatment. Thereafter to an international hospital within Southern Africa. Finally, back to the United States. Such medical evacuations are complex and can be incredibly expensive. We recommend that you look for medical evacuation coverage of no less than $250k within any Safari Travel Insurance policy that you buy. This is our minimum level of comfort for a complex medical evacuation back to the US. Typically, we see medical evacuation coverage limits of at least $500k, and this is a level that we believe is robust. We would argue that more than $500k of Emergency Medical Evacuation benefit is needless – it is hard to imagine a scenario where even this generous level of coverage would be required. Recent medical conditions will be excluded from coverage in any travel insurance policy that you buy. It is essential that you make yourself aware of any limitations and exclusions within a policy. 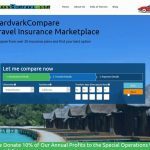 At AardvarkCompare we highlight, in every policy option, what the time limitation and exclusions are with regard to pre-existing medical conditions. Typically, in any Safari Travel Insurance, any recent new or changed medical conditions will be excluded from protection. The underlying medical condition associated with a new or changed medication will be excluded from coverage within the safari insurance policy. So, what do we mean by ‘recent’? It is all to do with the period of time prior to booking the safari travel insurance policy itself. 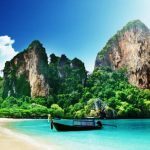 The most generous travel insurance plans will only exclude from coverage those medical issued that are new or changed in the 60 days prior to booking the policy. Medical issues older than this are covered anyway. Some, more restrictive policies, ‘Look Back’ 180 days to exclude a medical condition. This is less generous towards the traveler. A careful check of a diary is recommended so as to ensure that medical visits have not taken place within the 180 day window of exclusion. 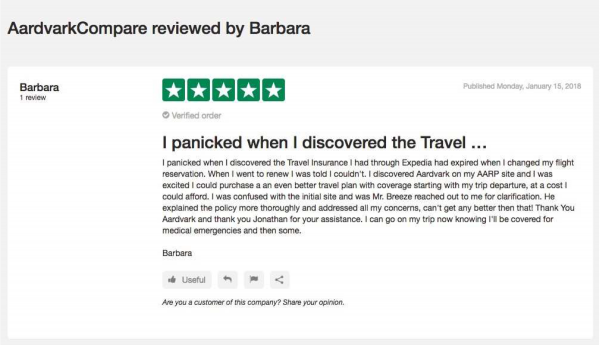 When looking at travel insurance that only concerns itself with a 60 day ‘Look Back’, most people find that they do not have anything to worry about. However, there will always be some travelers who have had recent medical conditions within the 60-day or 180-day ‘Look Back’ period. This recent medical condition would normally be excluded from coverage. The solution is to take a policy that includes a Pre-Existing Medical Condition Exclusion Waiver. Quite simply, the pre-existing medical condition, which would normally be excluded from coverage, is brought back in to coverage with the use of a Medical Waiver. A Medical Waiver is embedded into many policies. Activation of the Medical Waiver is as a result of booking the Safari Travel Insurance promptly after your first trip deposit or payment. You will have between 15 – 21 days (depending on the exact policy you choose) to buy Safari Travel Insurance so as to activate the Medical Waiver. Remember, the trip deposit or payment that starts the clock on your Time Sensitive Period need not be a large payment. Buy Safari Travel Insurance within 2 weeks of your first payment so as to activate the Medical Waiver. Often times it is not the travelers themselves who have a medical issue that causes a safari cancellation. Rather, it is a family member who becomes gravely ill or passes away. Many of us in such circumstances will want to be able to cancel the safari and be refunded. If the family member who became ill already had a pre-existing medical condition at the time that you bought your safari travel insurance, then cancellation benefit would not be paid. The solution is to ensure that the safari policy is bought with a Medical Waiver. The Pre-Existing Medical Condition Exclusion Waiver that we discussed earlier also protects your family, should their pre-existing medical condition cause you to cancel. Remember, there is no additional cost to have a medical waiver activated. This happens automatically. All that is required is the purchase of the insurance policy promptly after trip deposit. Most safari travel insurance plans will insist that full non-refundable trip costs be insured in order that a Medical Waiver be activated. If a Medical Waiver is important, do ensure that you protect the full non-refundable trip costs so as guarantee coverage. 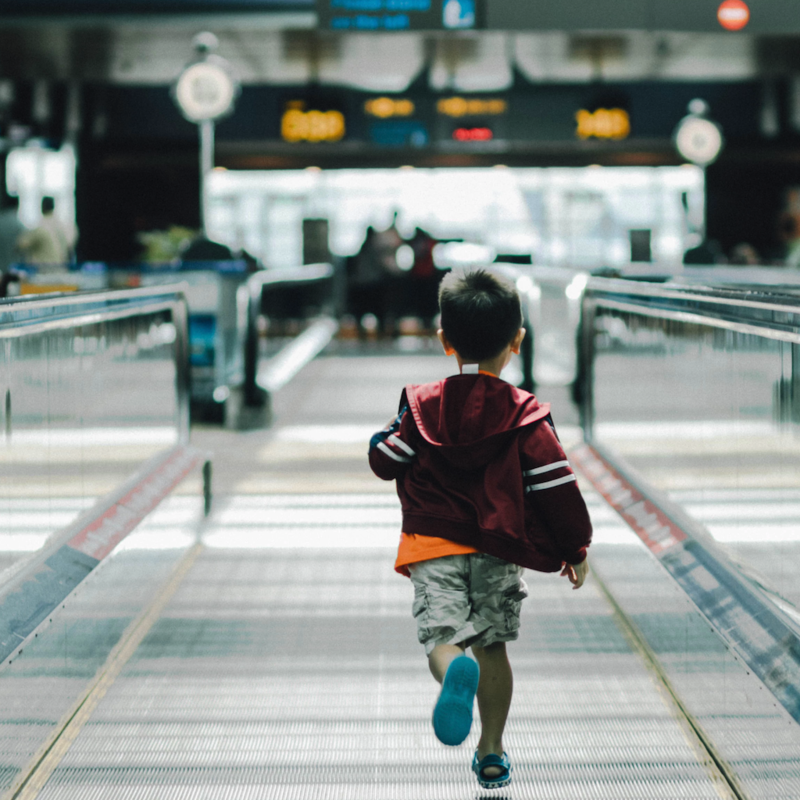 There are a few trip insurance policies that do not require full coverage in order to receive a Medical Waiver, but these are unusual. Do check with us to discuss should you wish to find a policy that does not require you fully insure the safari but still offers a medical waiver. We will do our best to help you buy travel insurance that covers this eventuality. 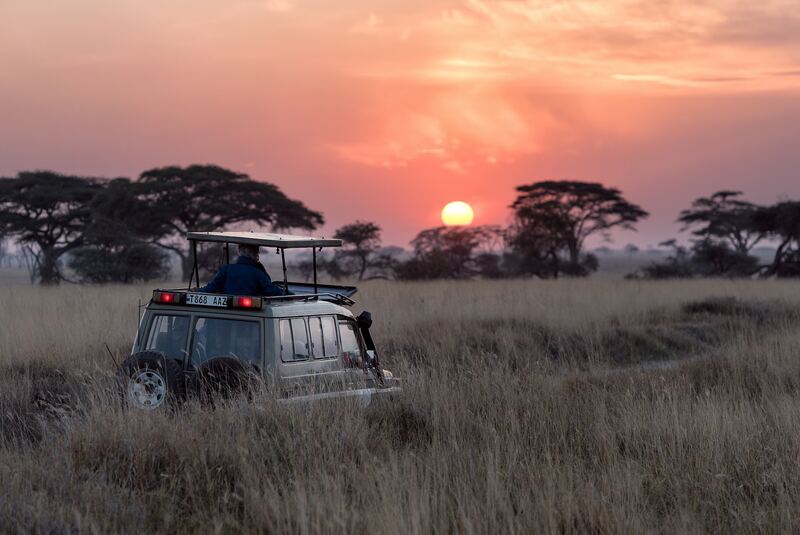 A Safari is something that people can plan for a lifetime. We know that once a booking is made the vast majority of people fully intend to go on the trip, unless accident or illness prevents them from traveling. But, some safari travelers wish to have the flexibility to cancel the safari, without any reason at all, and still receive some compensation. This is sometimes the case with safari travelers who are concerned with the political and security situation in South Eastern Africa. Should such flexibility be required, then a Cancel for Any Reason Safari Travel Insurance policy would be ideal. Again, this is a Time Sensitive Benefit – the policy must be booked within 20-21 days of your first trip deposit. You must insure the entire non-refundable trip costs for your safari. Should you wish to cancel your safari, you would need to do so no later than 48 hours prior to your planned departure. In such an event, you would receive 75% of your trip costs back, in cash. Cancel for Any Reason is a benefit above and beyond your regular cancellation protection. So, you would still be able to claim a 100% refund in the event that you needed to cancel your Safari due to ill health or an injury, for example. But, if you have no normal cancellation reason to cancel, and simply wish to cancel without any reason at all, then Cancel for Any Reason Safari Travel Insurance is an option to select. Again, we can help guide you. Our parting advice to you is the same we give to every traveler. Take the time to compare your travel insurance options. 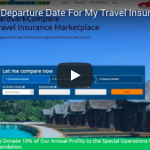 At AardvarkCompare we work with some of the leading travel insurance carriers in the US. The policy prices you see with us cannot be beaten – we guarantee that you cannot find the same policy at a lower price. So, enjoy the peace of mind that you have value for money, and strong protection when you buy Safari Travel Insurance. What Information Do I Need To Get A Travel Insurance Quote? 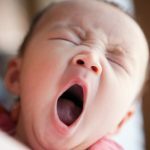 Why Do Babies Cry On An Airplane?